Offers visitors all the tranquility and expansive space of a working fruit farm. 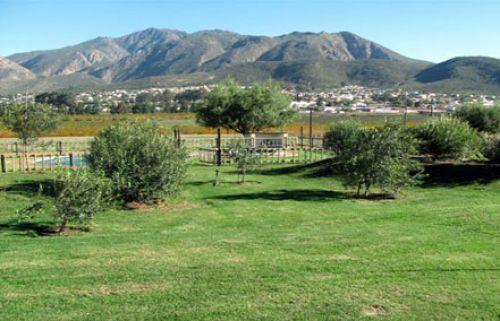 Offers visitors all the tranquility and expansive space of a working fruit farm, within 1 convenient km of Montagu's village centre. With it's incredibly beautiful views, Le Domaine is a venue that will be fondly remembered by all who visit here. 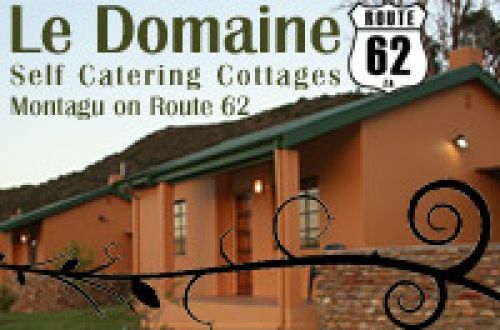 In addition to it's five comfortable self catering cottages, Le Domaine offers an inviting stone lapa with kitchen facilities and all the equipment you'll need for the perfect intimate gathering. Considering all the activities on the farm and plenty to do and see nearby, Le Domaine is a fantastic venue for your next team building exercise. 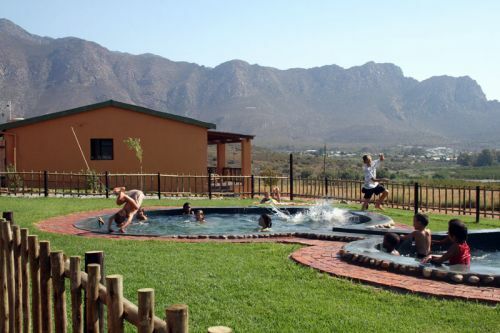 The firepit braai and fenced off swimming pool area accompanies the pretty stone lapa with breathtaking views over the valley, the mighty Bloupunt peak and towards Cogmanskloof. The lapa is perfect for a great family reunion get-together, a cosy ladies skinner-and-crafts session or even a child-friendly picnic party. 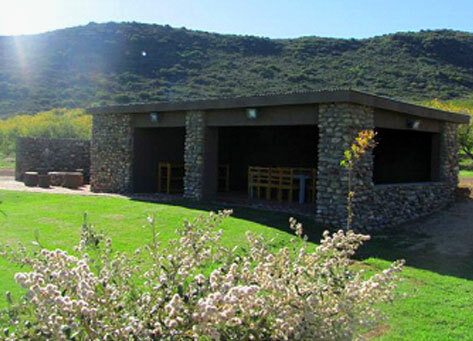 Hire it on a regular basis for beautiful outdoor yoga and exercise sessions, cell group meetings or even for a mom's and tot's afternoon of fun in the sun. There's no limit to the possibilities.